Kidney Disease Treatments, XORTX Therapeutics Inc.
CEOCFO: Dr. Davidoff, would you tell us the concept behind XORTX Therapeutics? Dr. Davidoff: The impetus for forming XORTX Therapeutics is based on a set of discoveries that were made in the early to mid-2000s, as well, no therapies are approved for this purpose. Those discoveries show that uric acid and aberrant purine metabolism plays a role in the development of a disease axis: including hypertension, insulin resistance, pre-diabetes, diabetes and the health consequences associated with diabetes, and importantly diabetic nephropathy. Of greatest interest to XORTX is the understanding that increased serum uric acid is acting as an accelerant regardless of what initiates the kidney disease. This has permitted the company to expand our program pipeline to polycystic kidney disease. Our focus as a company is to bring therapies that lower and manage uric acid to patients with progressive kidney disease in order to decrease the rate at which progressive kidney disease advances and so extend a patient�s kidney health and quality of life. CEOCFO: Was it always known that it was a correlation and the proof just became available is this something that has not been looked at much before? Dr. Davidoff: For a number of decades it was thought that uric acid was only important in the setting of gout. That view is changing with the publication of a number of basic scientific and clinical studies report that serum uric acid increased above the normal can play a role in changing vascular health, drive cardiovascular disease and do harm to health of the kidneys. CEOCFO: What is your approach to fixing the problem? Dr. Davidoff: The company approach is to introduce new technologies that are generally focused on the management of uric acid concentration. We have two technological approaches. Our first program is a reformulation of Oxypurinol, a drug that is well known to be safe and effective in clinical settings. We are developing this drug for autosomal dominant polycystic kidney disease. XORTX�s second program is focused on developing a novel drug based therapy for diabetic nephropathy in type 2 diabetes patients. Since, aggregating and expanding our patent portfolio in 2013-2014 a number of successful phase 2 pilot trials have shown that this approach merits our best efforts. CEOCFO: Why is it necessary for a reformulation? Dr. Davidoff: There are several reasons this approach makes sense. Oxypurinol has been characterized in over 700 patients as safe, well tolerated and effective. Still, oxypurinol not approved anywhere in the world for any use and there is no pharmaceutical quality source. One key improvement made by XORTX is a reformulation that substantially increased bioavailability of oxypurinol and we have patented that to extend patent life for this molecule. Because oxypurinol is well studied and characterized many developmental risks are reduced or eliminated for this program. Finally, in addition to our primary orphan indication for ADPKD patients we have identified several other orphan diseases, where this technology might also be developed and advanced. CEOCFO: Is it easier because it is a reformulation or are the steps still the same as far as an approval down the road? Mr. Davidoff: In many regards, it is easier and faster to develop drugs that are well known as safe and effective and so de-risked. This is because we know that the drug can be manufactured efficiently. Clinically the drug is safe and well tolerated and effective. Although oxypurinol has been developed in the past but never approved anywhere, it has been reviewed extensively by regulatory agencies so the development team is aware of and are able to anticipate many of the developmental steps needed for oxypurinol. CEOCFO: Where are you in the process of working with Oxypurinol and what have you found so far that may have surprised you? Dr. Davidoff: What has surprised the development team the most is the breadth of potential health consequences of increase serum uric acid. This is especially true for patients with diabetes where some evidence suggests that diabetic patients become exquisitely sensitive to even uric acid in the upper range of normal. The secondary surprise is that many symptoms of pre-diabetes and diabetes seem to be positively affected by uric acid lowering, even using low doses of drug. Those symptoms include obesity, high blood pressure, insulin resistance, progressive kidney disease. CEOCFO: Can you explain how the drug works? Dr. Davidoff: Hypothetically, the drug is designed to stop the production of uric acid. How it works is it lowers the activity rate or inhibits the activity rate of an enzyme called Xanthine oxidase. That action decreases the concentration of uric acid in the blood. By decreasing uric acid one disease accelerating factor for progressive kidney disease is removed and in turn decreases the rate of kidney disease progression. CEOCFO: Why has the medical community overlooked Oxypurinol? Dr. Davidoff: Developing Xanthine oxidase inhibiters and uric acid lowering agents is an ongoing process with a number of companies and of interest to a number of companies. The realization that uric acid is playing a role in pre-diabetes, diabetes, as well as kidney disease progression is relatively new. For that reason, a lot of focus has not been put on developing new agents for this purpose until recently. We anticipate that as rigorous clinical trial results are presented for this use and for this patient population, the opportunity to educate and gain acceptance and adoption will also increase. Our expeirnce is that this approach is much more widely accepted now, than it was even 5 years earlier. CEOCFO: You have been involved in a number of drugs and companies over the years, why are you confident about XORTX Therapeutics? Dr. Davidoff: As a seasoned drug developer we look for programs that are low-risk and have an opportunity of being successfully translated from animal studies through the clinical process and of course getting that program approved for marketing. Because the progressive kidney disease space has no drugs approved to treat that disease, we feel we are ideally suited with the approach to reposition Oxypurinol for the orphan disease ADPKD and the introduction of a new class of uric acid lowering agents in the diabetic nephropathy. Existing clinical trial evidence suggests that both approaches have the potential to be first in class for both diseases. The company�s has also benefitted from phase 2 clinical trial pilot successes supporting both programs suggesting this mechanism of disease action merits more study and is treatable with our approach. CEOCFO: What is in the pipeline for you? Dr. Davidoff: We are currently looking at a number of agents that would fall within the progressive kidney disease and diabetes space. We are strategically assessing them at this time and look forward to negotiating licenses to bring in the best opportunities associated with pre-diabetes, diabetes and kidney disease. CEOCFO: Are parts of the medical community aware of what you are looking at and if so, what is the interest? Dr. Davidoff: I think there is recognition that there is a considerable need by patients in the diabetic and the diabetic nephropathy space. We know that there is a lot of interest from industry for the development of therapies that treat progressive kidney disease. Until recently, the recognition that uric acid mediates progression of kidney disease has largely been the focus amongst a reasonably small group. I think there is a lot of need for researchers to study and develop more information to educate physicians and patient awareness. We firmly believe that this therapeutic approach has the potential to redefine therapeutic options for nearly ten million patients with diabetic nephropathy in the US who currently none. CEOCFO: What should we know about the recent merger with APAC Resources? Dr. Davidoff: The recent merger/ RTO with APAC Resources Inc. (�APAC�) (CSE:APG:CNX) puts us in a strong position having raised almost $2 million in cash to advance our lead and secondary programs. Closing this merger permits XORTX to increase activities, fund and focus on programs as well as consider potential in-licensing opportunities. CEOCFO: You recently brought on a new CFO. Is your team in place? Dr. Davidoff: We are a company in growth mode and plan to expand to initiate multiple Phase 2 trials. 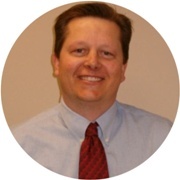 We are very pleased with the addition of Mr. Dave Mathews to the company�s executive team. Dave, has nurtures an excellent and successful career in the life science industry and we look forward to benefiting from his efforts. He is a key addition to the executive team. CEOCFO: What is your focus as CEO? Dr. Davidoff: As CEO most of the focus is on firmly upon building the company, executive team and providing exposure for our company�s program successes. Gaining sufficient financing to harness the tremendous potential for value creation is also a key activity. Lastly, building a leadership team that can raise awareness within the medical community that we are on-track as a leader in this space and that there is hope for many of the patients who have progressive kidney disease is paramount. CEOCFO: What have you learned from previous ventures that is helpful now? Dr. Davidoff: Drug and therapeutic development as a public company is demanding. So, it is important to have energetic, productive individuals who are comfortable with a multi-disciplinary approach. Importantly, continuous relationship building and out-reach to physician groups, investor contacts and maintaining a presence at scientific meetings must be a priority. CEOCFO: Why pay attention to XORTX Therapeutics and why does XORTX standout from the crowd? Dr. Davidoff: XORTX stands out because we have the opportunity to lead in the development of therapeutics for the treatment of these two progressive kidney diseases. In addition, we have paid special attention to designing programs that have a higher than average probability of translation into post Phase II licenses or marketable products in the future. We believe this translates into company value creation and stable growth. CEOCFO: Final thoughts and is there anything that people miss when they look at XORTX? Dr. Davidoff: XORTX has always been focused on thoughtful risk management in our development programs. The company actively and continuously strives to be the leader developing therapies for the treatment of progressive kidney disease. Ultimately our vision is to define the first and best in class new therapies for millions of patients who have no therapeutic choice. - Dr. Allen Davidoff, Ph.D.